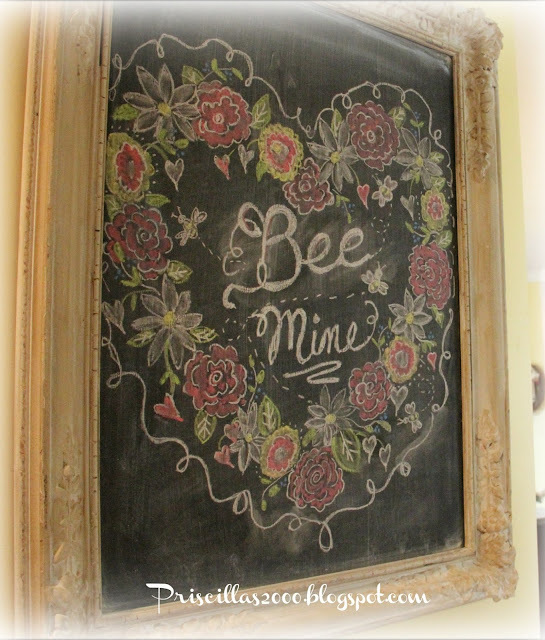 I did a new chalkboard on the seasonal chalkboard for Valentine's Day ..
As always I hated to erase this last one.. He was such a cute snowman.. I don't do much decorating for Valentines day ..Just this chalkboard and a few stitched pieces. 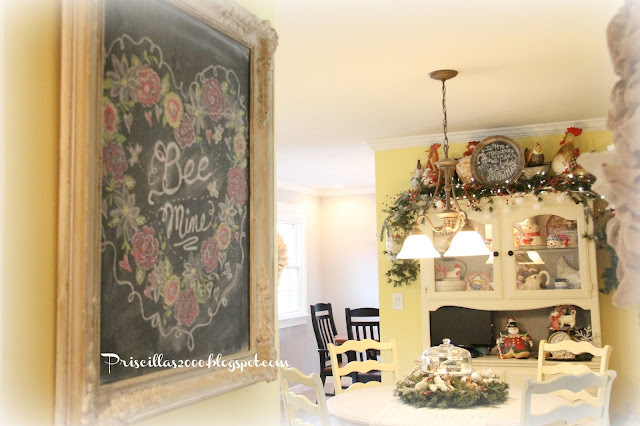 Roses ..daisies..bees and hearts are the showcased parts of this Valentine chalkboard..
All the trees are down and all the rest of the Winter decor is going to come down this week ( I know as soon as I take down the rest of the Winter decor it will snow big time :).. I am ready to add some Spring to the house ..hoping we have an early one! Wow, that's gorgeous! I can see you are very very good at doing those chalkboards. And indeed a lot of other creative things, too. Beautiful blog! I always enjoy seeing your chalkboards. I don't follow instagram or twitter, so I am always glad when my favourite bloggers put up a blog post. The Valentine chalkboard is just beautiful. I hope your Spring comes early. I have daffodils up about 4 inches. 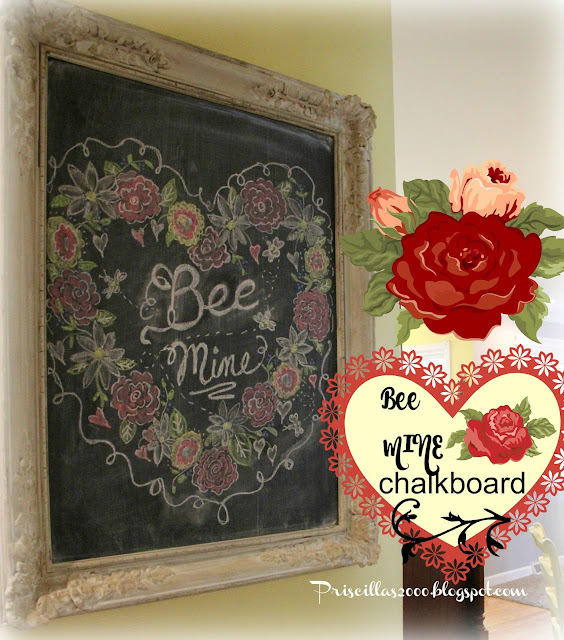 Your Valentine chalkboard wreath is gorgeous! 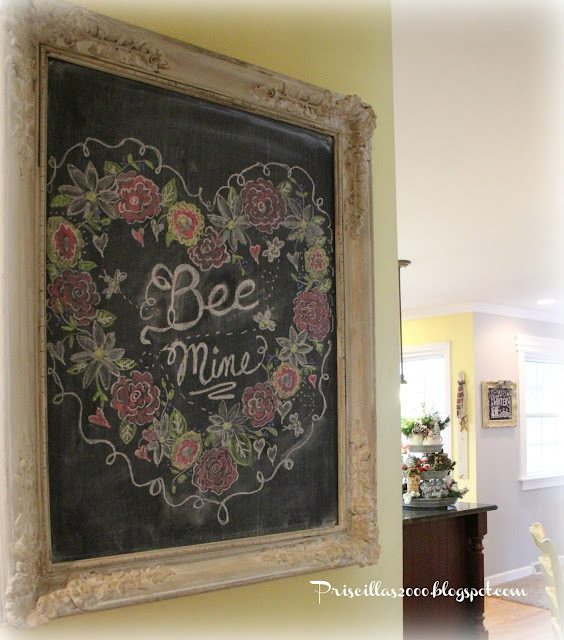 BEE- utiful chalkboard art, love all the detail! Nice work pinning to my Chalk It Up board for sure! How cute! 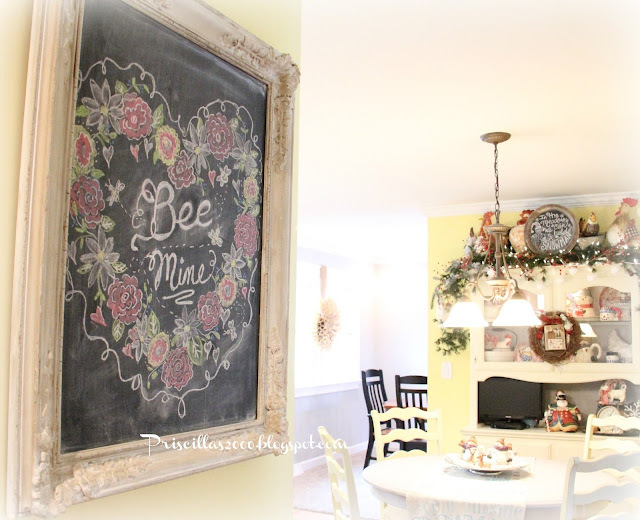 You're very artistic and looking forward to your Spring decor. Now that is just a work of art for sure! Always get excited when I get an alert in my inbox that you have posted to your blog :). Little Phil did not see his shadow so I'm counting on an early spring this year!! 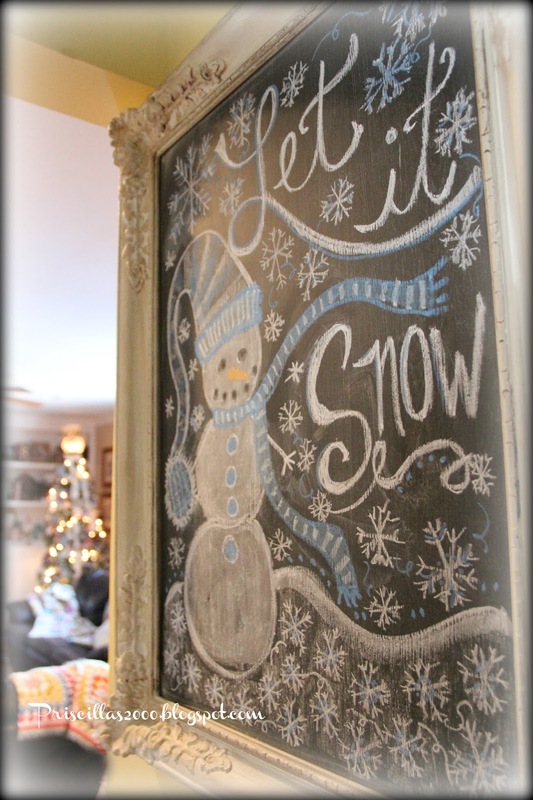 Your talent at chalkboard creations truly amazes me!! This one is a beauty!! Love it!! Thanks so much for stopping by!! It is going to be -3 degrees here tomorrow so my Winter and valentine decor will be staying up until the end of Feb. as we will definitely not have any signs of Spring for some time!! Happy Valentine's Day! !